Treaty as used here: a tacit, understood, implied, common interest agreement between organizations. Alliance as used here: union, association formed form mutual goals, interest, benefit, between organizations.bers of CSPOA.org. We are entitled to our own opinions! NOT One of Us, However is entitled 2our own set of facts! When you hear people talking about people who are members of Constitutional Sheriffs and Peace Officers Association and National Rifle Association are Saving The World Together (STWT) doing things that or opposed to the Constitutional Bill of Rights you are witness to the evil propaganda of those who have for wrong doings wormed, lied their way into our memberships or have turned against "We The People" for some notorious reason. Please document your facts and evidences of what you know, they may most enthusiastically be excommunicated from our membership and may also face criminal charges. Everyone Is Entitled to Their Own Opinion! NOT ANY ONE OF US IS ENTITLED TO THEIR OWN SET OF FACTS! 3) National Rile Association along with their membership in 4) Saving The World Together (STWT). Saving The World Together, [Members] Ministership, "Ministers of Love, Good Samaritan Family Neighborhood Ministers" may use their Ministry Expense Account-when funds are available exclusively for the above top three (3) memberships, but no other memberships in any other organizations. See Law 11 H and LAW 20. This Treaty Alliance is for all those who hold a publicly elected office in the United States and are members of the "Constitutional Sheriff and Peace Officers Association" (CSPOA.org) and Saving The World Together (STWT), "Ministers of Love, Good Samaritan Family Neighborhood Ministers", (which this website was built. assure Meaning & Value for [Members] "Ministers of Love". This, of course, seems somewhat unorthodox and, in a way, revolutionary. We've encountered many questions about Self-Management; you can review our answers to some of the more common ones at our FAQ page or ask us your own by contacting us. Download our white paper, "What Is Self-Management?" 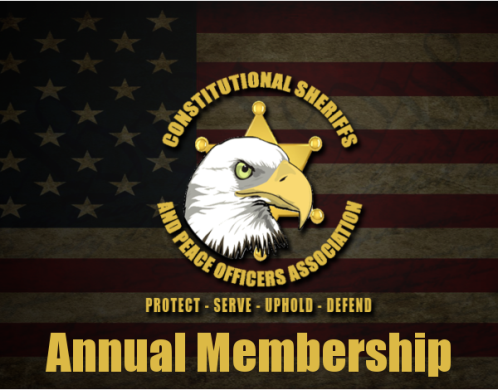 Why should you become a member of the Constitutional Sheriffs and Peace Officers Association? No other organization has assembled sheriffs, peace officers, military, veterans, citizens and elected officials who are resolute in upholding their oaths to protect the constitutional liberties of the people. We hold our oaths sacred. The CSPOA already has rallied thousands of people, including concerned citizens, police, sheriffs and public officials across the country who expressed the desire to join us in the Holy Cause of Liberty. Sheriff Richard Mack (Ret) founded the Constitutional Sheriffs and Peace Officers Association to unite all public servants and sheriffs to keep their word to uphold, defend, protect, preserve, and obey the Constitution of the United States of America. Our success is forged by bringing the people together with strong constitutional sheriffs and peace officers. Across the country we are witness to a growing movement of public officials who are drawing a line in the sand. We are interposing ourselves between the sometimes overreaching government and your constitutionally guaranteed rights. We are erecting the barriers that protect states’ rights, as spoken of by James Madison. Produce educational materials to arm citizens and members with powerful educational tools. Fund convention and travel expenses for organization leaders, sheriffs and peace officers. We strongly feel that education is the only way that we the people can win the war against crime, terrorism, and corruption and take this country back. The sheriff is the highest elected official in the county and has the authority to stop this insanity. The County Sheriff is the upholder, defender, protector, and servant of the constitutional rights of the people. Any person who advocates for, is or has been a member of, is or has been associated with, any organization that promotes discrimination, violence or hatred toward any person or group based on race, nationality, or color, shall NOT be entitled to be a member of the CSPOA. The CSPOA governing board retains sole discretion regarding membership. Click here to opt in to the free CSPOA monthly newsletter and get critical organization updates and news alerts. Our mailing list will also communicate with you by email regarding further activities and service opportunities. Becoming a member of the Constitutional Sheriffs and Peace Officers Association is a major step to supporting our mission and helping resolve some of the most critical problems facing America. From Citizens to government, everyone is eligible for membership. We offer a variety of options to get involved, including a payment plan for Life Memberships. Why should you become a member of Saving The World Together? No other organization in the history of the world assembling people has spent over 20 years in research for The Protocols for Life, and what has become the STWT System of Republic Governance that Perpetuates A True Republic with Non-Amendable Laws based on Love & Truth, Honor & Respect for Each Other, that deliberately focuses on the Value of Each Individual's Importance & heart's desires that differ for Everyone else's, as Equals with power and control over themselves and their things and the sharing of surplus ministry funds on a monthly bases with every "Minister of Love, Good Samaritan Family Neighborhood Minister' electing those who will help by providing management support as their management after evaluating 360 evaluation questionnaires provided to all those who are expecting the elected to provide the management for their team for the nest year. This is from the greatly successful Worker Owned Business in the last +-100 years (as i remember, which means "I'm Guessing"). However, It eliminates the dreaded hierarchical Boss and propitiates the active participations of all the Ministership working together on any one project. Our Ecclesiastical, Congregational, Ministership provides for the helping of Ourselves before beginning to expand to help others, recruiting members which includes members of all ages and nationalities and social economical circumstances without prejudice of any kind around the most powerful, logical, reasonable and appropriate experiencing of The Reality of: Loving One's Self, Loving Each and Every Other Member of STWT and Loving All Our Neighbors", with a Motto of dynamic life enhancing proportions, "We do what we love, what needs to be done, Love and help take care of each other's needs." We do this, Not Only as Our Common Beliefs but also as Our Sacraments of Worship. Sacraments of Worship as used here: Outwardly observable participation with the principles, the concept & belief in Loving Ourselves, Loving One Another and Loving All Your Neighbors. Our Sacraments of Worship include every act we do, from thought, thinking about and Planning and actuating Into Reality through our efforts, Loving Ourselves, Loving every other Minister of STWT and Loving All Our Neighbors. 4Ministry Priorities for Ministers of Love, Good Samaritan Family Neighborhood Ministers. 1) 1st Priority as a "Minister of Love, Good Samaritan Family Neighborhood Minister" is to take responsibility for your own health. STWT needs U our Minster well with energy to do,& live out the Love living within U. The principle here is the same as why we are told when flying in an airplane and the oxygen masks are lowered in an emergency, for you to first put you oxygen mask on before trying to put them on your children or spouse or anyone else. Because you will be unconscious and not able to help yourself or anyone else if you do not. 2) 2nd Priority as a "Minister of Love, Good Samaritan Family Neighborhood Minister" is to Love & be of encouragement and help to your family, friends & neighbors leading and encouraging them to take responsibility for their own health & well being in a way that you are lead by the "Pure Love & Pure Truth" within yourself to do so. 3) 3rd Priority as a "Minister of Love, Good Samaritan Family Neighborhood Minister" is to "Do What You Love doing, What Needs to be done, Love & help take care of other "Ministers of Love, Good Samaritan Family Neighborhood Ministers" needs, as you are lead to do by the "Pure Love & Pure Truth" living within yourself. In our twenty years we have planned safe gaurds against saboteurs. One is Our Law 10). LAW 10) PROMENADE ("Our old-fashioned "Plan & Purpose" walk for pleasure, in full view of the public) Should any Minister of Love decide to act outside of our Laws of Love, at the moment they decide to do so & before they do the unloving act or acts which may cause harm to someone or any of their belongings, agrees that they have done so outside of the scope of their calling as a "Minister of Love, Good Samaritan Family Neighborhood Minister" & thereby relinquishes their protection by our laws & is encouraged to make other "Ministers of Love, Good Samaritan Family Neighborhood Ministers" aware of their dis-fellowshipping act or acts, & seek our help with restoration with STWT™©sm [.org], "Ministers of Love, Good Samaritan Family Neighborhood Ministers" & personally take full responsibility for restitution with the party or parties for their personal act or actions may have caused any harm, damage or cost." This is non-amendable law. In our twenty years we have planned safe gaurds against saboteurs. Two is Excomunication. In our twenty years we have planned safe guards against becoming a political or greed based or hoarders of economical resource ministry or ministry for the profiteering of it's administration, where every Minister is due, as needed and available, a living ministry expense at the latest well documented and established cost of living where they dwell, (with the exceptions of special needs added that will be approved by each Ministers Local Community Team) and a monthly distribution of funds that will help assure each "Minister of Love, Good Samaritan Family Neighborhood Minister" is appropriately funded and in receipt of new Ministry Funds Every Month. This is across the board for every "Minister of Love, Good Samaritan Family Neighborhood Minister" if they are a member of STWT's Management Support Team or not. For all of us Ministership it is the same. No Exceptions (All for One & One for All, Equality of Importance, Potential & Possibilities). 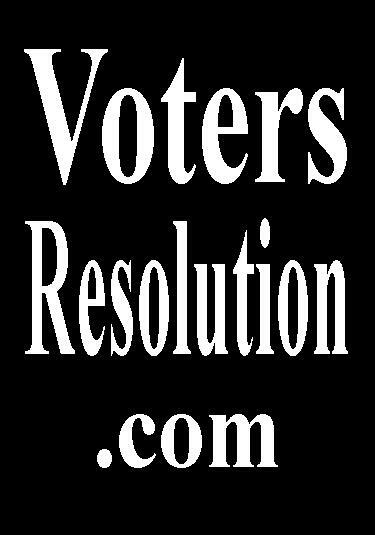 We want the best 4 our neighborhoods and communities and desire building self funded Volunteers to help our Local Elected Officers & Local Gov. by paying Local Sale Tax when using Our Ministry Expense Accounts. Priority 1: Good Samaritan, Family Neighborhood Ministers Health Needs. Motto: We Do What We Love Doing, What Needs to Be Done, Love and Help Take Care of Each Others Needs. will be donated to CSPOA.org Constitutional Sheriffs and Peace Offers Association. does't need Community Team collaboration. 02) Operation Borzoi Ministering to disabled veterans of Military, Police, Firefighters & 1st Responders & and helping organize Governmental & STWT Volunteer Projects. 04) Community Ministers "Library of Needful Things" (Information, Tools, Transportation, Dwellings, Shelters, etc. is also Know, As Our Boss! "Ministers of Love, Good Samaritan Family Neighborhood Ministers"
STWT's boots on the ground Ministering to; Ourselves, Our families, friends and our neighbors. Why Only A $1.00 a Month Ministership? Because I :Roy: Thompson STWT's 1st Host & Writer Lives On $807.00 A Month. This makes me poor in America with some months only having pennies left at the end of the month. So, this makes it affordable for me and perhaps I may even be able to help someone else with their membership. With a roof over my head, running water, etc, I am richer than the 90 or 95% millions of in the rest of the world. This maximizes and demonstrates the reality that it is not your money that the world needs but you, You Right Now, Not When You Become Perfect, But Right Now Just Like You R, Letting the Pure Love & Pure Truth living within you guide and direct you, making mistakes and being less serious, not embarrassed by mistakes you make but truly like all of us seeing your mistakes as the greatest learning modalities you and i and everyone else truly has. "Minsters of Love, Good Samaritan Family Neighborhood Ministers"!!!! In today's insane world of greed far too often it has become an enigma in our society of climbing over the rights & freedoms of others to assure more profits for one's self, company & or incorporation, who makes full & twisted use of Law to subjugate & rob from you & me while we are out to just stretch our legs & get a new, clean & fresh breath of air. This is the greed for money, power and control over others evolved into insanity itself, gone fully mad. Seemingly with nowhere at times to turn, under the Universal Law of Agreements & Ancient, Precedence & Well Established Ecclesiastical, Common & Universal Law rises, Saving The World Together-Ecclesia (Ekklesia) A Called Out, Assembly, Congregation of People to Love Themselves, One Another & Love All Their Neighbors with real acts of help by Doing for One Another & Our Neighbors those things each of us & all of us would want each other & Our Neighbors to do for us & those closet to us whom we love. Any person who advocates for, is or has been a member of, is or has been associated with, any organization that promotes discrimination, violence or hatred toward any person or group based on race, nationality, or color, will not be comparable with Saving The World Together or Our Common Beliefs of Loving Ourselves, Loving each and every other STWT "Minister of Love, Good Samaritan Family Neighborhood Minister" and Loving All Our Neighbors. If joined and exposed not believing, not having and not living out this Love as a vision, goal, quest (with mistake making but getting back up and continuing with Love) may be excommunicated temporarily for no less than 2 years or permanently. At which time we will Love them as one who counts themselves among our enemies. 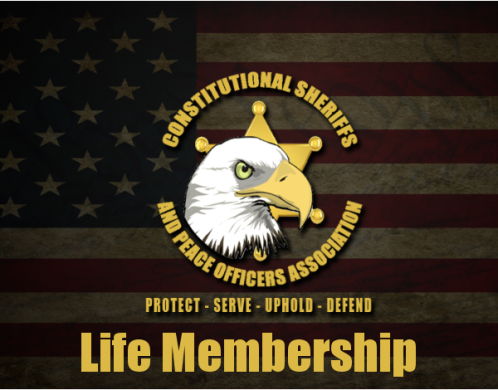 Becoming a member of the Constitutional Sheriffs and Peace Officers Association is a major step to supporting our Saving The World Together mission and helping resolve some of the most critical problems facing America. From Citizens to government, everyone is eligible for membership. They offer a variety of options to get involved, including a payment plan for Life Memberships.